When Nike founder Phil Knight first traveled to China in the 1980s, the country was far from being an economic superpower, as noted in his memoir, Shoe Dog. In fact, China was just beginning to recover from the Cultural Revolution by re-opening itself up to global trade and foreign investments. Today, many credit Nike for its pioneering vision of entering China at the time. By doing so, not only did Nike reap financial rewards initially through manufacturing, but it actually became the favored sportswear brand in China for a period. Nike found success by establishing an early dialogue with the Chinese and by promoting basketball, the effects of which it still enjoys today. As China gained economic importance globally, countless sportswear companies flocked to the world’s second-biggest economy in hope of following Nike’s success, with China proving itself a realistic contender in surpassing the United States in terms of sportswear market size. Currently, the difference in market size between the two countries is astounding — and largely disproportionate. As of 2016, the US market was sized at $103 billion dollars, while China was a far second at $28 billion dollars. Considering that China’s population (at 1.4 billion) is approximately four times that of the US, it’s easy to identify a gap that many would expect to close as GDP in China rises. The country already has the world’s biggest middle class population, and it’s still growing, all of which translates to more Chinese spending power. 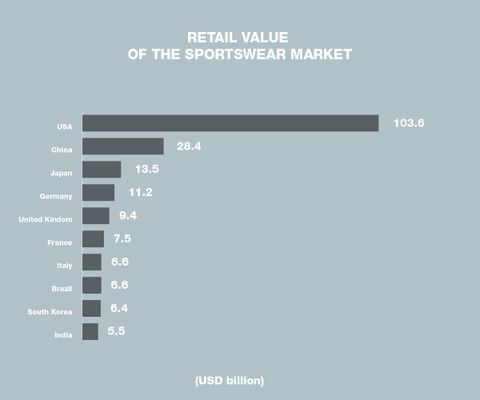 The way athletic companies see it, there aren’t too many markets with the size and potential growth rates of China. 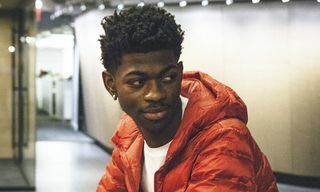 A brief look at Nike’s latest financials confirms the general consensus, with its North America segment experiencing a recent slowdown compared to the China segment’s healthy growth of 12 percent. 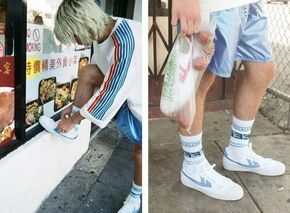 Decades after major Western brands such as Nike and adidas became popular in the Chinese market, they have finally found formidable new competition. And it’s not Under Armor. Nor Uncle Martian. It’s domestic.  If you follow the NBA, there’s a chance you might have seen these brands on the court, as more and more players are opting for smaller labels over the usual established NBA brands. 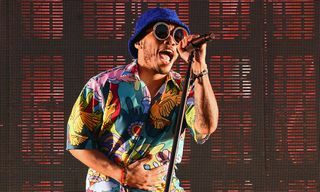 But for the majority of the Chinese audience, the four big labels – LI-NING, ANTA, PEAK and 361˚ – are more or less household names. Many would be curious if these brands actually pose a threat to the global titans. Are they even significant competitors in China? The short answer is yes, indicating that Nike and adidas have their work cut out for them, in order to stay relevant globally. Despite domestic brands gaining a financial foothold, Western brands are still more favored and better perceived in China. A combination of constantly innovative products and years of China-devoted marketing (and dollars spent) have forged undeniable brand premiums, which have translated into generous product mark-ups. 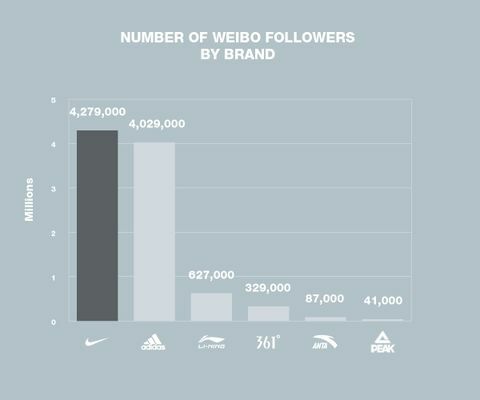 A quick census of Weibo (China’s Facebook/Twitter amalgamation) confirms the Western brands’ wide reach, with Nike and Adidas each having around 4 million followers respectively (which is about nine times more than LI-NING’s). 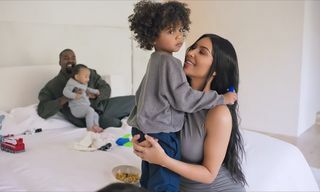 For domestic brands, it’s a shared battle amongst them to grow a fan base and appeal to the younger generation at home. 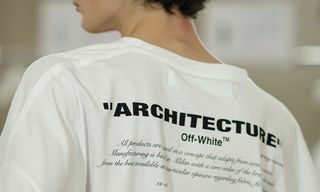 As Chinese sportswear brands take on the fight against Western brands at home in what feels like the clash of David and Goliath, we take this opportunity to introduce the four most significant companies and each of the unique stories behind them. To many foreign customers, LI-NING’s logo appears to be very similar to Nike’s Swoosh. Claiming coincidence, the logo was apparently designed in a company-held contest in 1990, with a dual meaning to resemble the letter L as well as a flying red flag. 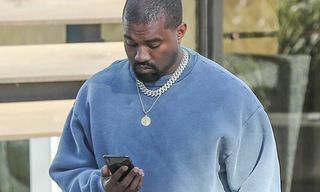 While Chinese companies are often accused of plagiarism, their slogan – “Anything is Possible” — was actually created before adidas’s “Impossible is Nothing” tagline. In 2004, the company became the first Chinese sportswear company to go public on the Hong Kong Stock Exchange, a move that was soon duplicated by each of its significant competitors. Throughout the years, the brand has sponsored a myriad of leagues, teams and players. Notably, it was the official partner of the Houston Rockets, home of former Chinese NBA sensation Yao Ming, who was sponsored by Nike and heavily credited for drawing Chinese interest toward the NBA. The brand’s real breakthrough into the international arena came in 2012 when LI-NING snatched up Dwayne Wade from Jordan Brand. At the time, Wade was seen as one of Jordan Brand’s top prospects, but what seemed like a match made in heaven was a flop in reality (many attributed it to lackluster product design). When LI-NING approached Wade with a $10 million deal and ownership, the rest was history. 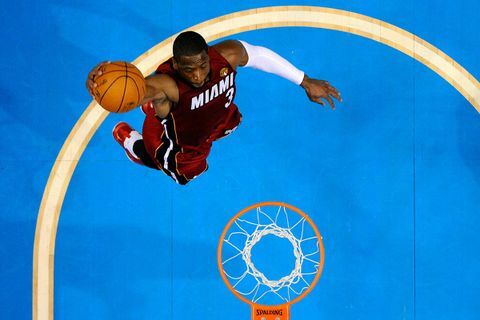 Wade left the brand of his childhood hero to forge his own legacy and the “WAY OF WADE” (WOW) brand was born. “WAY OF WADE” is popular within China. 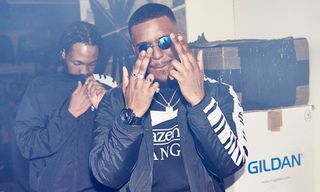 Known for its considerable quality and accessible price points, the entire brand revolves around Wade, who is instrumental to the label’s strategy and identity. Wade now serves as the Chief Brand Officer, building awareness in both the US and China. He is also the key decision maker in selecting the athletes he feels best embody his ethos in the brand. 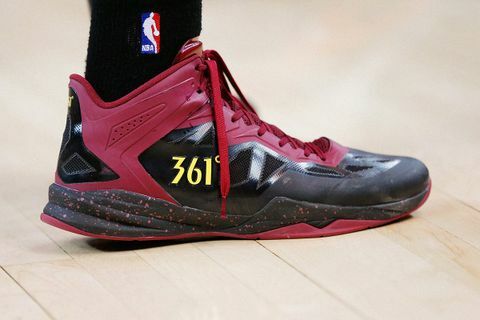 Today there are twelve players in the NBA that wear LI-NING and seven of them wear Wade’s signature shoes. The WOW brand has its own creative team that includes veteran Eric Miller, a former lead designer at Converse and Nike’s innovation kitchen. But LI-NING’s story wasn’t without speed bumps. It suffered years of losses caused by over-aggressive North America expansion, which also entailed a closed Portland office, general brand misalignment and a corporate restructuring. 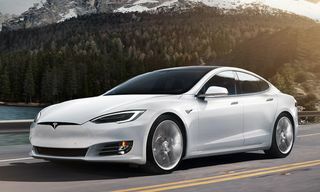 It did eventually manage to rebound thanks to its competitive price strategy and domestic market focus; this year, revenue reached $1.1 billion, up 13 percent from 2015. Yet the few years of setbacks were enough for its fiercest competitor ANTA to dethrone it as the number one sportswear brand in China. Recently, LI-NING joined forces with CLOT, Peacebird and Chen Peng for its debut in NYFW’s China day showcase hosted by Tmall & CFDA. 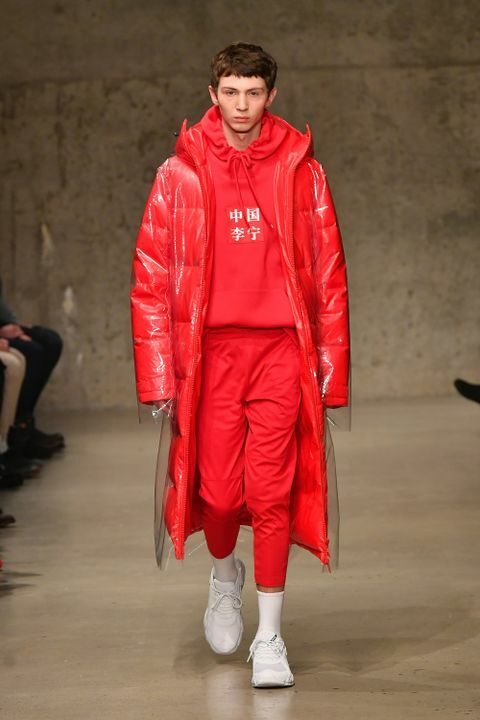 LI-NING’s runway presentation in New York featured a mix of classic American sportswear, with Chinese influences and graphics mixed in. Early Chinese enterprises earned their first big pay cheques manufacturing for Western companies in the ’80s and early ’90s, as the country began to slowly embrace private entrepreneurship. Soon after, a few companies started to find their own identity and establish local clothing brands. ANTA is the poster child for this success story. Meaning “Safe Step” in Chinese, ANTA began as a factory, hailing from the southern coastal city of Xiamen, Fujian Province – China’s garment and footwear manufacturing hub. Foreign brands, traditionally, have a strong foothold in first-tier cities with higher spending demographics. Understanding this, ANTA instead committed its resources into second and third-tier cities (which are not small markets – more than 150 million Chinese teenagers and young adults live in these places) and found their own success. Especially significant is Klay Thompson’s importance to ANTA. At the time of his signing, ANTA had a waning sponsorship presence in the NBA, with Rajon Rondo the last active player to actually wear ANTA after a legacy of emerging players like Luis Scola, Kevin Garnett and Chandler Parsons. 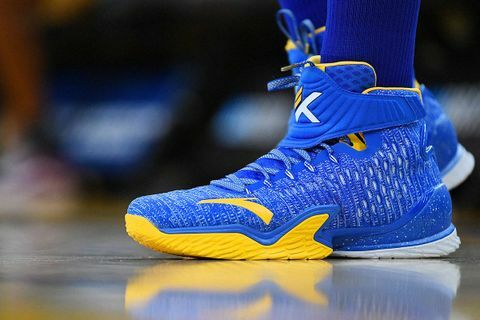 ANTA struck gold when Klay Thompson won two NBA championships and Olympic gold medals, becoming the brand’s golden boy in the process. Of note, ANTA also brought on former adidas designer Robbie Fuller, designer of other basketball silhouettes like the Derrick Rose 1 and Crazylight Boost. Being the largest, most vocal and aggressive of the domestic pack, ANTA previously announced an ambitious goal to surpass Nike and adidas in the China market, while purposefully omitting a target date. 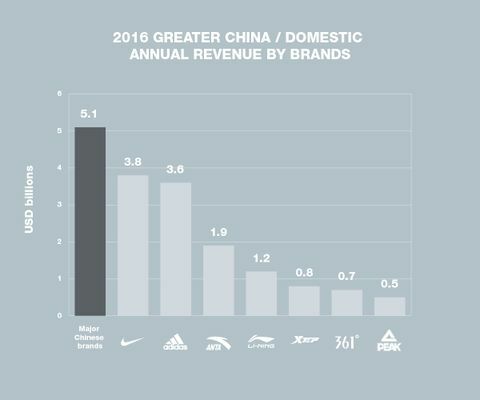 Time will tell if ANTA can surpass the brands in terms of financial performance, but in 2016, ANTA successfully overtook its nemesis LI-NING as the undisputed leader in China. 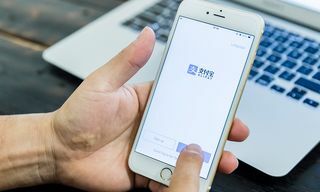 The two companies have fought bitterly on all fronts, especially with the sponsorship of the Chinese Basketball League, with ANTA sponsoring from 2004-2012 and LI-NING regaining it from 2012 to present. Recently, ANTA looks to have won the attention of the most powerful man in China after President Xi Jinping was photographed wearing a down jacket by the brand while visiting the site of the 2022 Beijing Winter Olympics. Perhaps lesser known when compared to the two aforementioned brands. 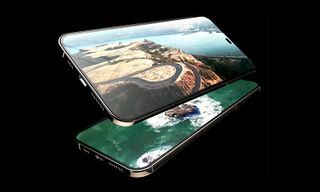 PEAK’s story also began as an OEM (manufacturer) for foreign brands and a neighbor to ANTA, as both hail from the industrial and manufacturing hub of China, Fujian Province. In terms of size, PEAK is the smallest company amongst the four with revenues at $450 million based on latest public filings. Surprisingly, the brand has the largest NBA sponsorship line-up at 17 players amongst the domestic brands, placing it behind Nike and adidas in terms of players endorsed. 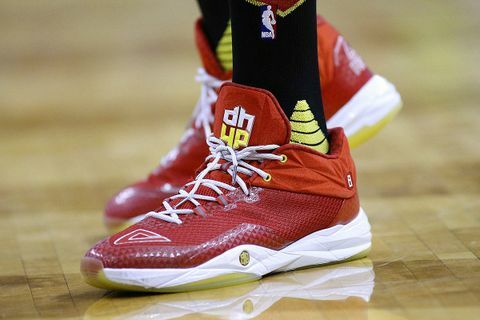 Previous sponsorships included Tony Parker and Dwight Howard signature models, both in the later parts of their careers. Superstition isn’t exclusive to American sports, and in China, PEAK is gaining a reputation as a brand that wins championships. 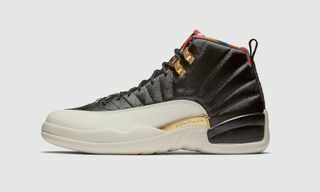 The brand’s 2009 to 2016 track record is the root of this sentiment, as teams with PEAK sponsored players won seven NBA finals in eight consecutive years (with the exception of 2016 champions Golden State Warriors’ Klay Thompson wearing ANTA). Formerly a sportswear goods manufacturer, yet again from Fujian Province, the company was formally branded 361° in 2003. 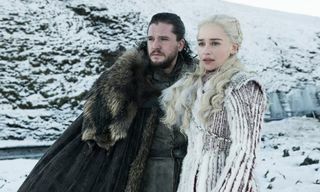 It is the youngest and possibly least well known among the Western audience. Notably, the brand sponsored the Rio Olympics and Paralympics in 2016, providing more than 100,000 outfits for torchbearers and other stakeholders. 361°‘s recent sponsorship of former NBA sensation Jimmer Fredette (now playing for CBA team Shanghai Sharks) has been mutually beneficial. Fredette experienced glory by recently winning an international MVP award with the Shanghai Sharks, and his signatures shoes have also been relatively well received by the media. Unlike their aforementioned competitors, 361° has a focus on running rather than basketball. This investment paid off when one of its products, the second generation of 361° Sensation running shoes, won a “Best Buy” award from Runner’s World, a rare first for Chinese brands. Perhaps the most humble amongst the big four brands when it comes to big-name sponsorships, 361° have been able to silently surpass PEAK as the third biggest domestic brand. 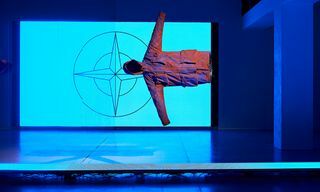 Western brands like Nike and adidas are finding themselves battling against an environment of increasing nationalistic sentiment from the Chinese consumer, as well as tougher trade policies from governments, a signal that the competition has been elevated from a purely market-driven comparison, to an actual clash of cultural ideology and background. After years of trial and error, Chinese brands are no longer just trying to survive – they are now on the offensive and will be eyeing bigger pieces of their home market. Furthermore, the upcoming generation of young consumers is more motivated to represent and wear domestic brands. The winner of this contest will have a lasting impact on the taste and preferences of the Chinese consumer for decades to come, ultimately rippling across the globe. For the domestic brands, their aim isn’t just to beat Nike or adidas; their goal is to become cultural symbols in China, much like Nike is in America or adidas is to Germany. 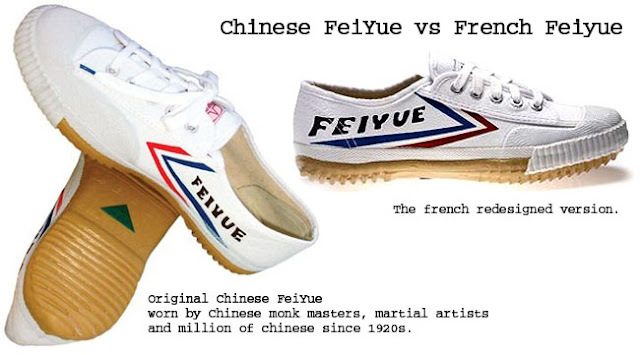 A social media favorite amongst the younger female audience, Feiyue is a brand of low-tech trainers that began life in Shanghai in the 1950s as a humble shoe, historically favored by monks and martial arts students. Known for their durable properties, they soon gained a cult following. Recently, they worn by all martial arts participants at the 2008 Beijing Olympics. Today, they are still the shoe of choice for secondary school students in their PE lessons. Perhaps its most famous market outside of China is France, with the trainers having two separate makers and the French counterpart being accused of intellectual property theft in China, a rare case of tables turned. Another special case of retro low-tech cool, the brand “Warrior” or “Hui Li” as it is known in China, had its beginnings crafting sports shoes for Chinese athletes, and would go on to become a household name in the ’60s, ’70s and ’80s, as a state-owned, working-class brand. 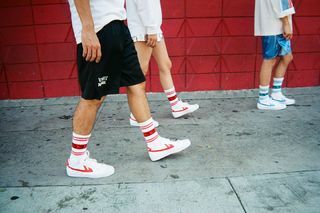 But today, Warrior stands as a retro favorite, loved by the alternative youth in Shanghai and Beijing. 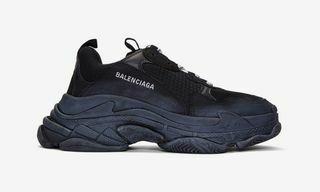 With recent supporters such as Orlando Bloom, Liu Wen, Kris Wu and Caroline Brasch Nielsen, the brand soon found itself as an alternative sneaker choice. The shoe is known for its low price, and you can find a pair for around $10 USD on online marketplaces such as Taobao or Tmall. 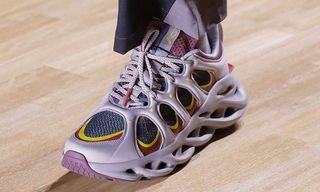 Yet the brand recently underwent a full-scale rebranding, re-launching its most iconic footwear under the new name “WOS33,” which stands for “Warrior Ordinary Streetwear 33.” The new version is being retailed online at a surprising €70 (approximately $85).